It doesn’t matter how many times I make bread, I always find the rising, the leavening, of dough enormously pleasing. The quiet industry of yeast is nothing short of a wonder, and our relationship with it remarkable. Yeast is a microscopic type of fungus. Of course, “yeast” in the baking and brewing senses refers to a variety of different species of yeast. Predominantly, however, bakers’ yeast is a strain of Saccharomyces cerevisiae. The main yeast used in brewing is also a strain of Saccharomyces cerevisiae. It’s also a key player in winemaking. Myco is the Greek for fungus (with mycology the discipline of studying fungus). Saccharo, like saccharine, is also from the Greek, for sugar. So Saccharomyces means sugar-fungus. Cerevisia / cervisia means “beer” in Latin, and is the origin of the Spanish cerveza and even the obscure Italian word cervogia. Indeed, struggling through an Italian etymological dictionary, the vis is the Latin for “force” or “strength”, so the Latin name for beer seems to literally mean “the drink containing the strength of cereal”. This is one of those many occasions when I wished I’d studied Latin. I went to a flippin’ Catholic school for crying out loud, but we didn’t do Latin! Anyway, for most of humanity’s long history of bread-making and brewing, we were oblivious not just to the specific strains of yeast, but even to the whole concept of microorganisms. And yet there they were, helping us access the nutritional qualities of grain through the millennia. Yeast was first observed in 1680, but not recognised as a living thing. Louis Pasteur identified yeast as the cause of alcoholic fermentation in 1857 and the cause of dough inflating a few years later. Even today, there’s plenty of disagreement about certain aspects of the nature of yeast: according to various figures, in a single gram of yeast, for baking or brewing, there are between 8 and 20 billion cells. So thanks yeast. Or yeasts, as it’s not just S. cerevisiae. Other Saccharomyces are used in the production of food and drink, such as S. pastorianus (the hybrid strain used for bottom-fermenting lagers and pilsners; formerly known as S. carlsbergensis), S. bayanus and S. uvarum. Then there’s the whole Brettanomyces genus. This name means “British yeast” and was so-named during investigations into English ales at the Danish Carlsberg brewery in the early 20th century. 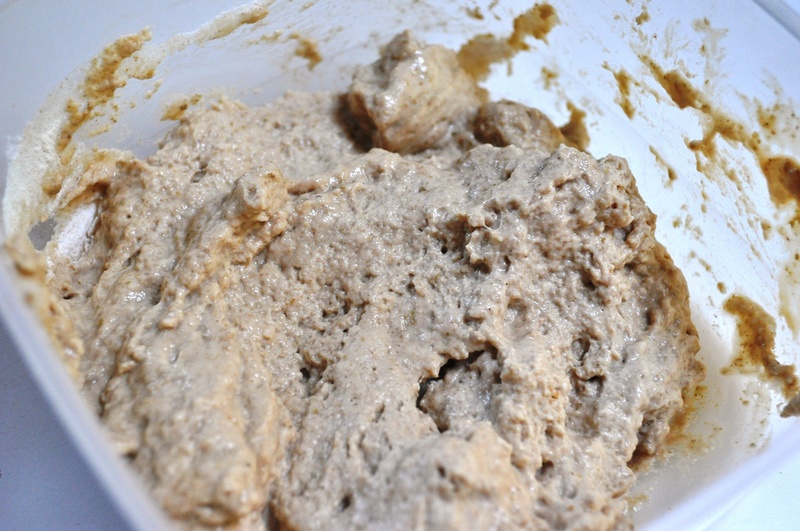 B. bruxellensis is an essential element in the production of Belgian Lambics and related sour beers. Then there are other genera like Kazachstania, with K. exigua, found in sourdough cultures and olive brine. Heck, even the Candida genus comes into play. 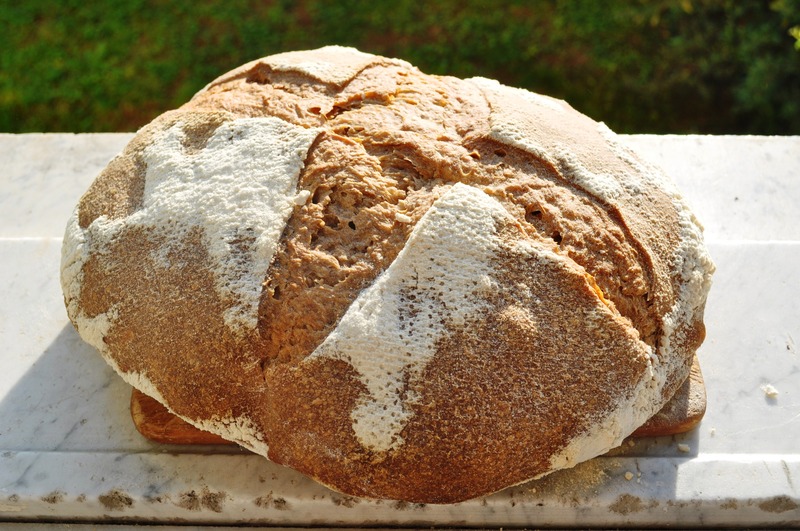 Yes, C. humilis, a yeast from the genus responsible for a lot of fungal infection, and even wine spoilage, is considered the “dominant species” for the production of some sourdoughs. I like dogs, but with their invaluable services in the production of staple food and drink, to leavening bread doughs and fermenting alcohols, perhaps these yeasts have a better claim to being man’s* best friend(s). * Sorry, inherently sexist language. Can’t really sidestep this by putting mankind’s or humanity’s either. Readers of this blog may have already spotted that we’re ‘Game of Thrones’ fans. ‘Game of Thrones’ is not only the name of HBO’s excellent TV series, it’s also the title of the first book in George RR Martin’s A Song of Fire and Ice cycle of books and it made a cameo appearance in this post, where we were lolling around in the park drinking Birra del Borgo’s Rubus, reading and enjoying the sun. I can’t remember what hyperlinked amble took me there, but Inn At The Crossroads is the officially recognised blog for recipes based on foods found in A Song of Fire and Ice. Being a baker, my attention was immediately grabbed by their bread recipes. Specifically black bread – something that’s mentioned in the books as common fare of the people of Winterfell and the North. 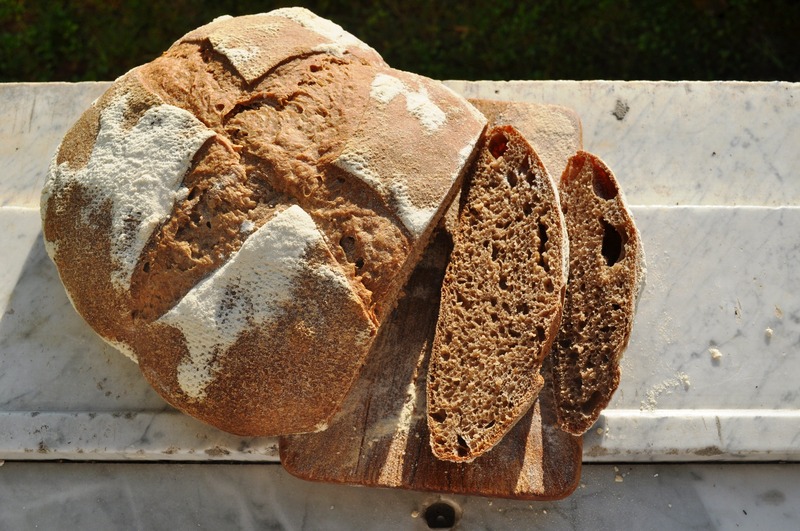 Here is Inn At The Crossroads’ first Black bread, and here is their Black bread redux, aka Black beer bread. 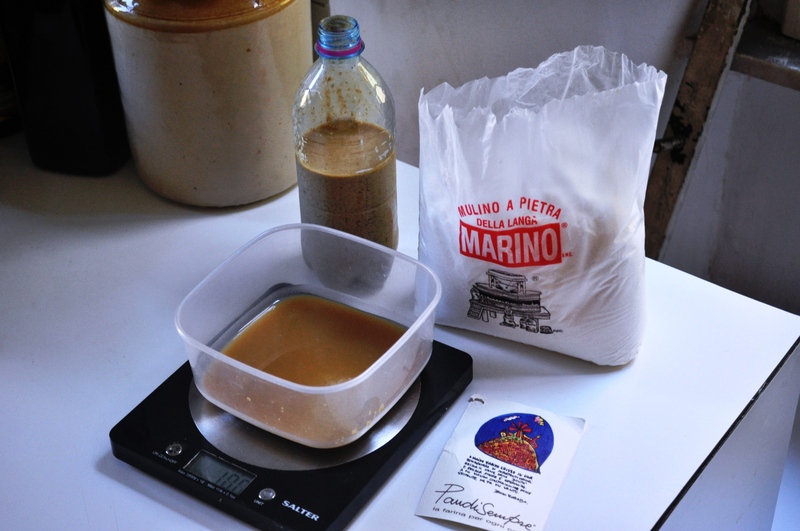 I wanted to try something similar, but not using commercial yeast – as this didn’t seem to fit into the whole quasi-Medieval vibe of Martin’s world. 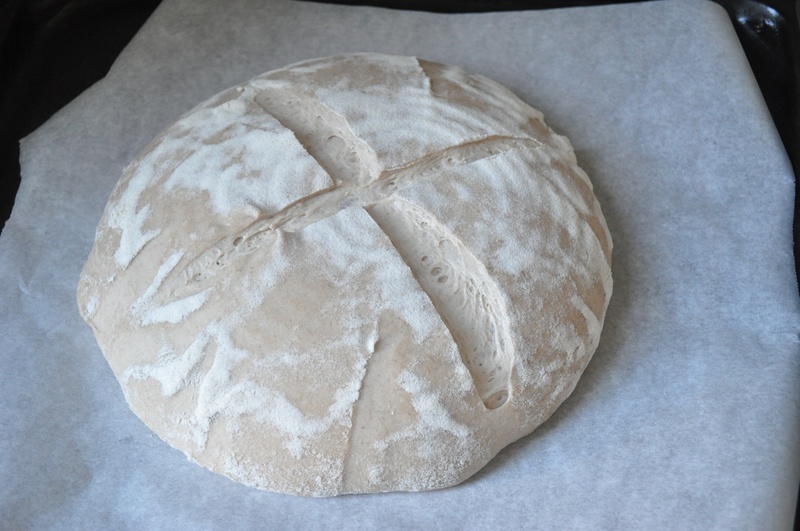 Instead, I wanted to use beer barm, a byproduct of fermentation. 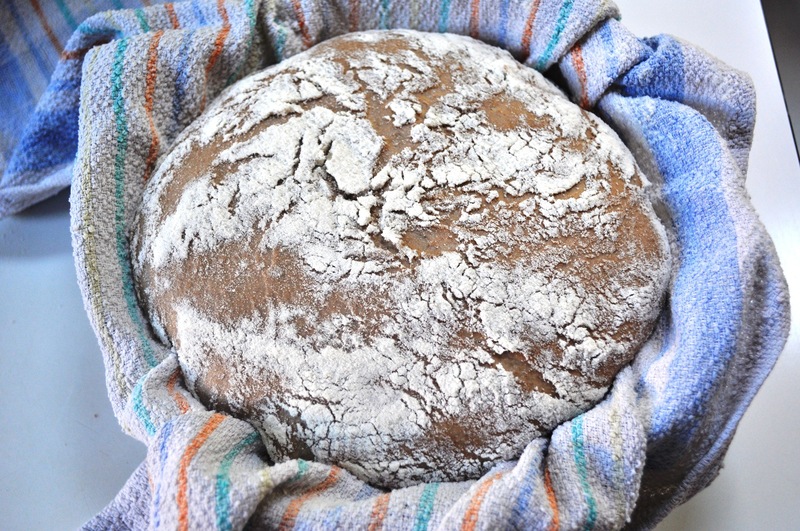 My first experiment with a real barm bread was pretty successful, though I didn’t use any actual beer or dark flours to make it, so it wasn’t really a black bread or a black beer bread. This, however, is. 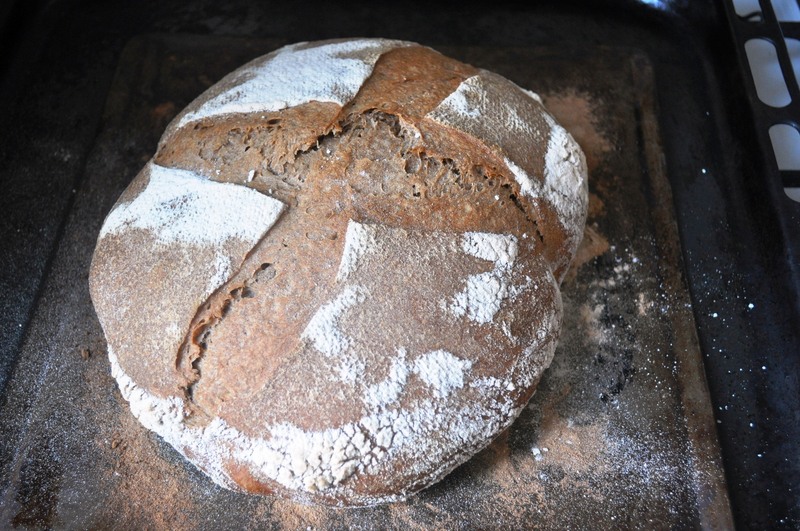 Again, I used Mulino Marino Pan di Sempre, a stoneground organic white flour that is made with a blend of Triticum aestivum (that is, common bread wheat), Triticum spelta (spelt wheat) and Triticum monococcum (einkorn wheat), but I also added some wholewheat flour. 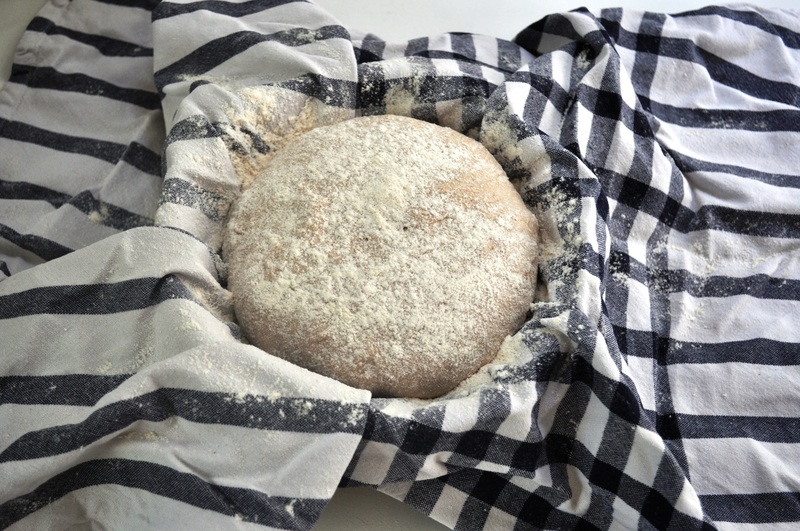 I made a leaven with the same barm as before, feeding it up with flour over a few days, then I made up a dough, using beer as the only other liquid, not water. 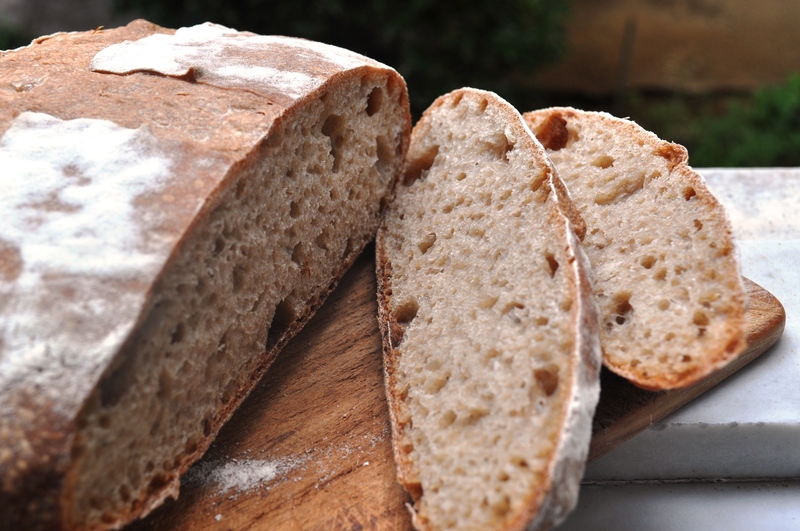 Now, I mentioned that Dan Lepard’s ‘The Handmade Loaf’ has a recipe he calls “Barm bread”, though he makes it without actual barm, just beer and a leaven. He also heats the beer, killing the yeasts, but retaining the flavour. I wanted to retain the live yeasts from a bottle-conditioned beer, so didn’t heat it. 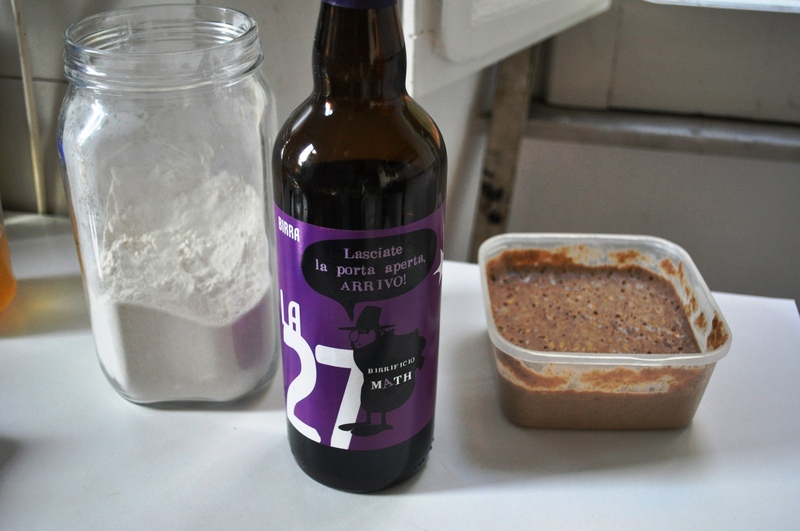 The beer I used was Birrificio Math’s La 27, a 4.8% dark beer from the brewery near Florence. They call it a stout, but stout, traditionally, meant strong, and more recently has come to be associated with more full-bodied creamy porters. It’s neither. The La 27 has a solid fruity smell: specifically black berries like blackberries (! ), elderberries and blackcurrants, with a touch of smokiness and a little chocolate, but taste-wise it’s dull, a little charcoal, but not much more depth of flavour. The body was thin and watery, and over-carbonated. The aftertaste was oddly bitter. It was black though, or black enough for a black beer bread. So anyway, here’s the recipe. If you try it, don’t be afraid to adjust the quantities, as I was very much experimenting when I made it. I made my beer barm leaven with barm, flour and some cooking water from farro grain; I’d say it was about 80% hydration, effectively. 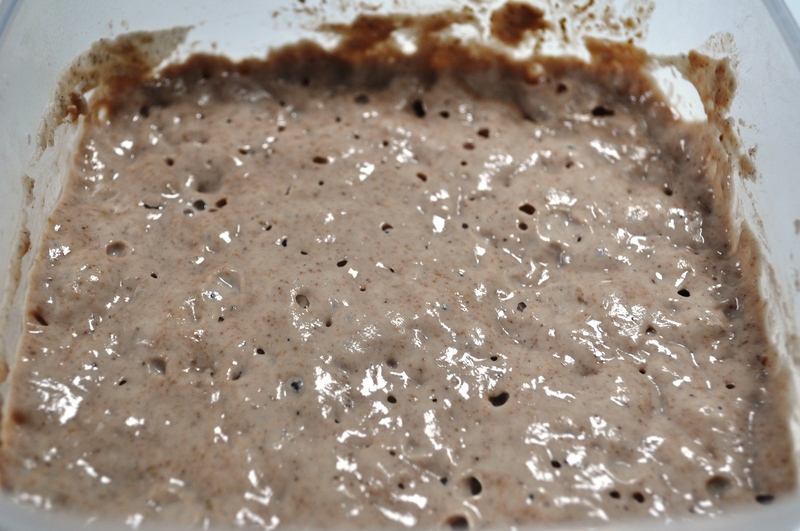 If you can’t get hold of a beer barm, a normal leaven/sourdough starter will suffice, though it won’t be quite as fun. 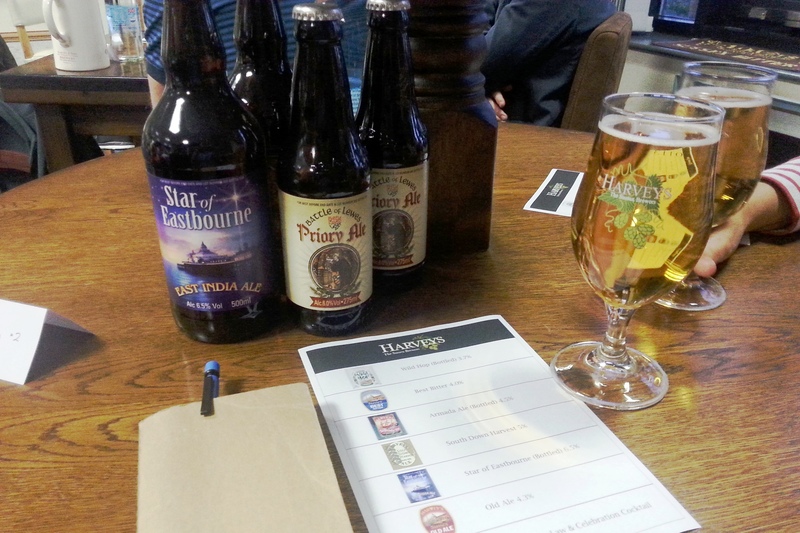 For the beer, use a non-pasteurised, non-filtered, bottle-conditioned dark ale, stout or porter (not Guinness). 1. Combine the salt and flours. 2. 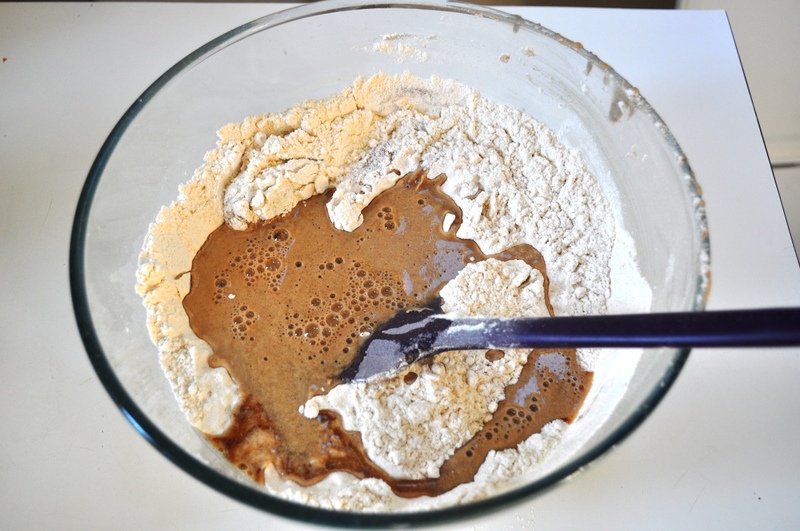 Combine the leaven and beer, stirring well. 3. Pour the liquidy gloop into the flour. 4. 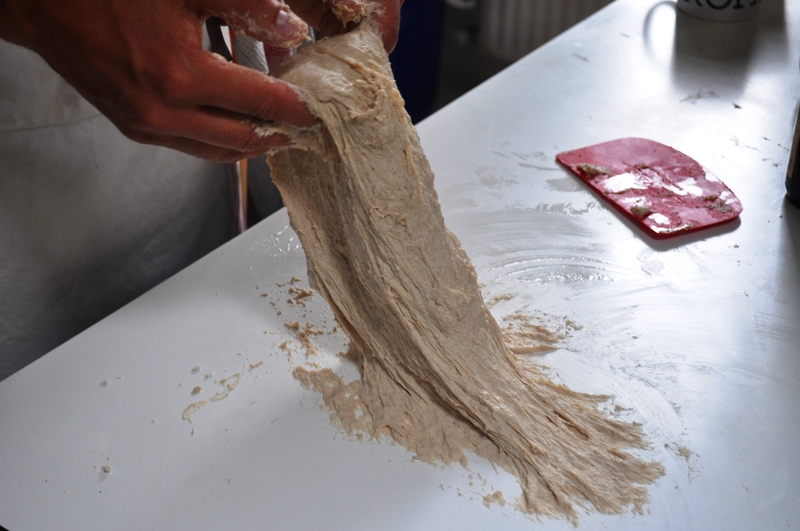 Bring together the dough. It’ll be pretty sticky. Which is good, albeit tricky to handle. Don’t agonise. 5. 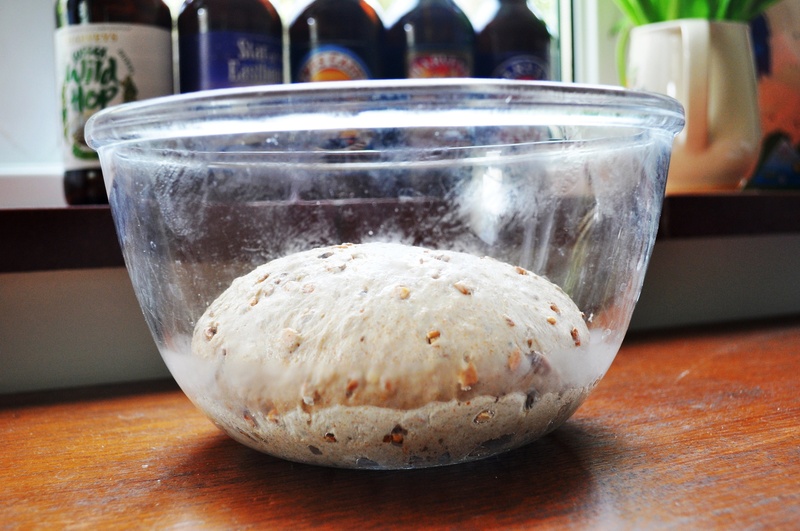 Form a ball with the dough, put it in a bowl or plastic container, cover with plastic or a lid, then put in the fridge. 6. Leave in the fridge for around 14 hours. 7. 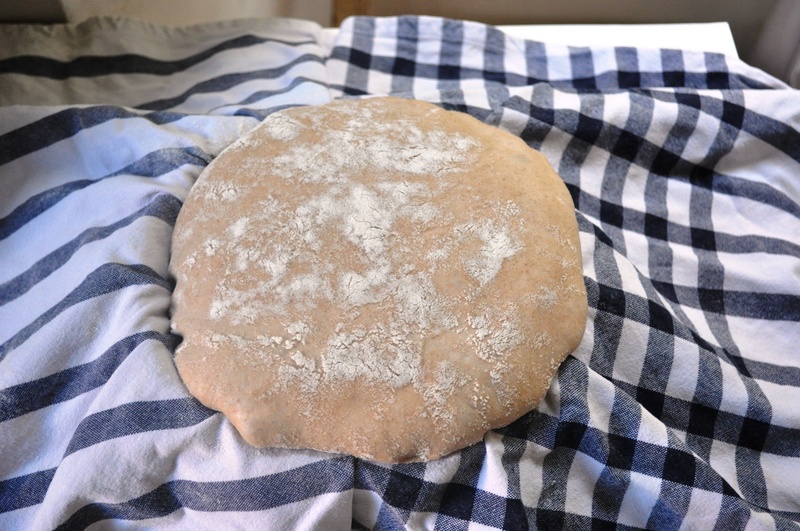 Take the dough out of the fridge and allow to come to room temperature (around 20C ideally). 8. 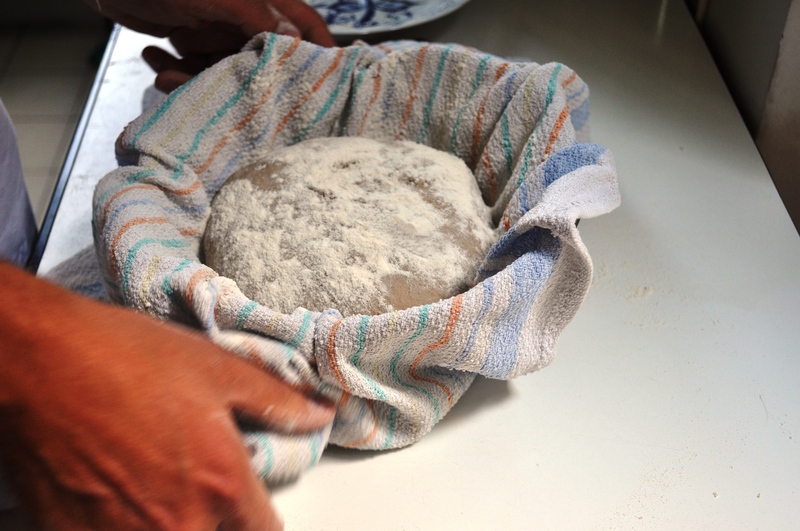 Form a ball, then put it – smooth-side down – in a bowl or proving basket lined with a floured cloth. 9. Prove again for about 5-8 hours more. This will depend on the temperature of your room, the liveliness of the yeasts, etc. You want to leave it until it’s doubled in size and is soft to the touch, nicely aerated. 10. Preheat your oven to 240C. 11. Upturn the ball onto a baking sheet (so the smooth-side is up), slash, then bake for 20 minutes. 12. 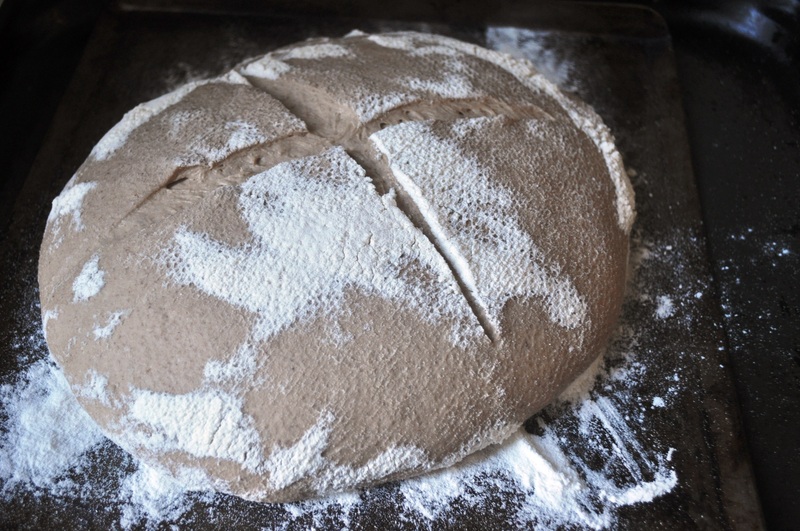 Turn down the oven to 200C and bake for a further 20 minutes, or until the bread is done. This can be tricky to judge, but you want it to feel lighter, and sound hollow when tapped on the bottom. Now, the finished loaf looked rather pleasing, and had a lovely smell of chocolate, a scent that you get with certain stouts. Oddly, this smell wasn’t strong with the beer itself, but it’s come through with the baking. Taste-wise, it’s certainly pretty rustic but is oddly bitter-sweet. I’m not a chemist, but I wonder if the bitterness is related to the alcohod. I’m sure it would have served very nicely for the hungry Brothers of the Night’s Watch, freezing their behinds off on the Wall. We, on the other hand, enjoyed it for breakfast on a mild late-summer Roman morning slathered with honey. Then for lunch with a lovely crunchy, sharp medium aged pecorino. Once upon a time, breweries and bakeries lived side-by-side harmoniously. Brewers merrily went about their noble work, mashing, sparging, fermenting. 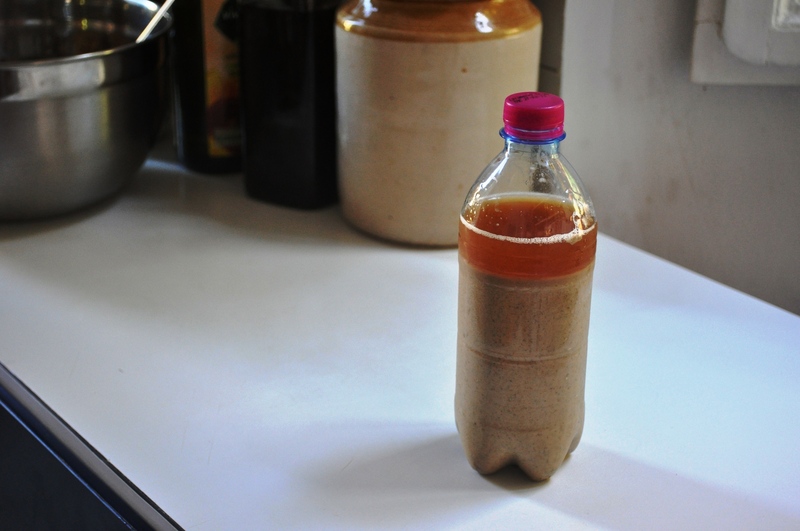 One blessed by-product of the process was a foam that frothily formed on top of the fermenting liquor. The dusty baker from next door would welcome consignments of this malty foam – barm – and use its natural yeastiness to leaven his dough. And so it went for long ages. Until some learned men in the late 18th and 19th centuries improved humankind’s understanding of bacteria and yeasts. 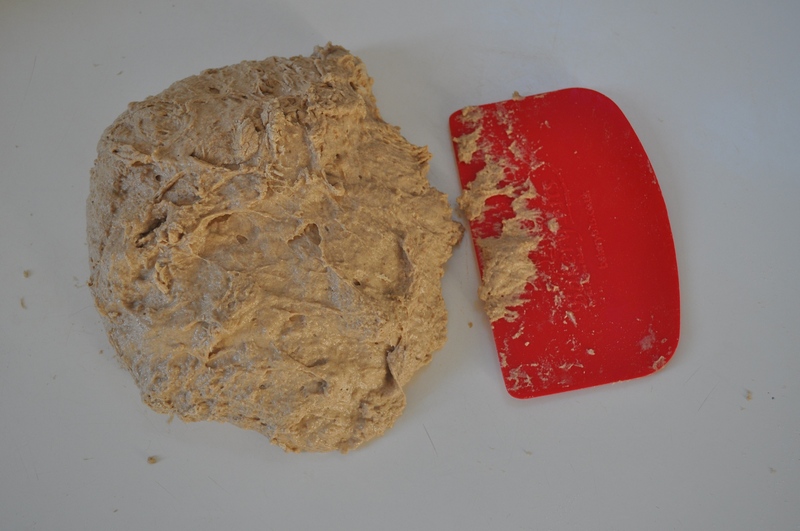 By the late 19th century, yeast specifically cultivated for bread-making had become commercially available in block, then in dry, granulated form. And slowly, sadly, the close bond between breweries and bakeries faded away. This idea of bread being made with brewery by-products has intrigued me for ages, but not having had a ready supply of barm, I’ve never actually tried it before. My recent enjoyment of Game of Thrones and the Song of Fire and Ice novels, the source for his great HBO TV series, lead me to the Inn At The Crossroads. 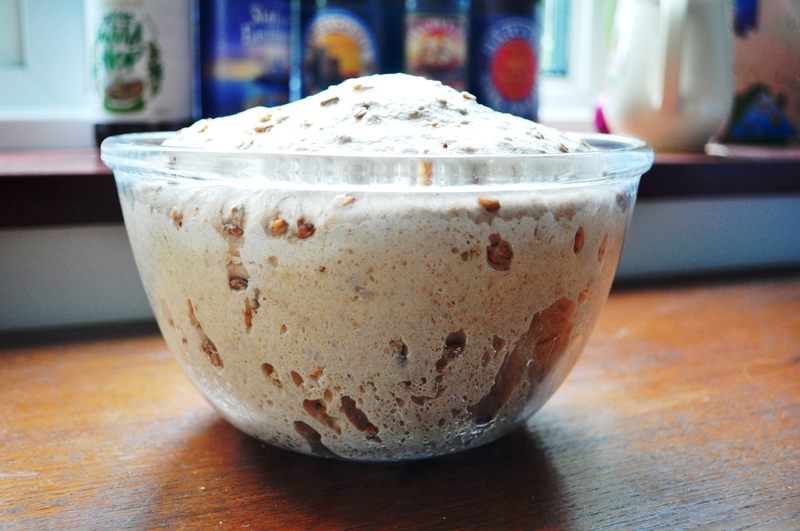 This inspired blog features involves real-world interpretations of the fantasy world foods mentioned by George RR Martin in his books, and it got me thinking again about pre-industrial yeast bread-making. Specifically, I was checking out The Inn At The Crossroads’ bread recipes. 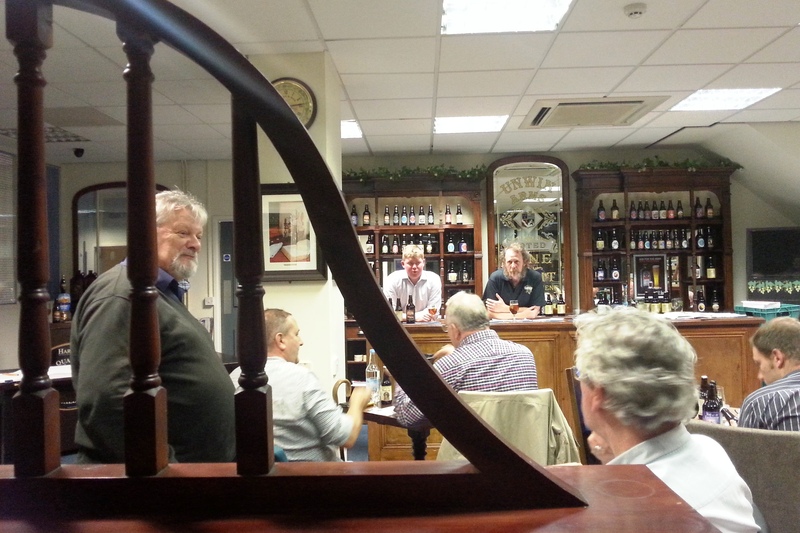 They have a few for Martin’s black bread, with the second version made using dark ale, stout or porter. Okay, thought I, that looks fun. But I had one criticism. Surely in Martin’s quasi-Medieval world, they wouldn’t have had “1 packet yeast”; bread would surely have been made with the barm method. I made a comment along these lines, and one of the site’s creators, Chelsea Monroe-Cassel replied, saying “I agree that this would be the very best way to make this bread!” She also said, “I’ve made several trub breads, with great success.” I’d not heard of trub bread too, but this one is made using the sediment from the fermenter. 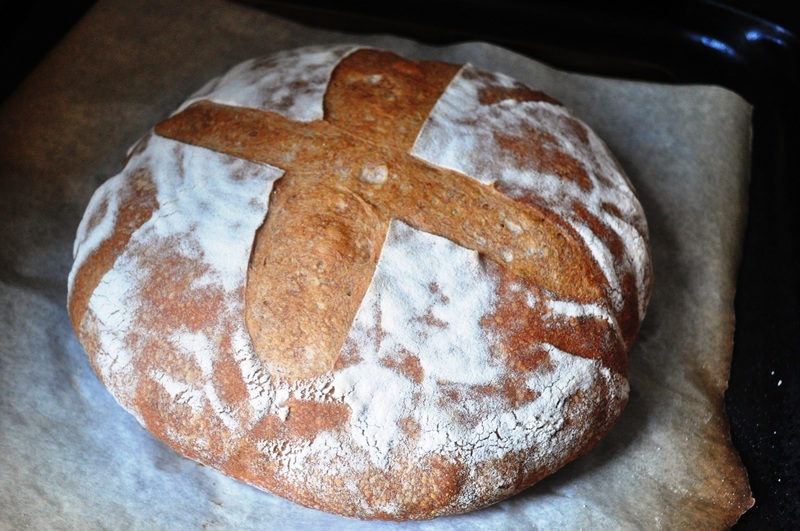 My project slightly moved away from the black bread theme, though, as initially I just wanted to make a bread with barm, and with flour with older grain – ie arguably more medieval – varieties. I bought some Mulino Marino Pan di Sempre, a stoneground organic flour that is made with a blend of Triticum aestivum (that is, common bread wheat), Triticum spelta (spelt wheat) and Triticum monococcum (einkorn wheat). My friend Michele Sensidoni, a brewer, kindly furnished me with a bottle of barm. It wasn’t very prepossessing stuff: gloopy, brown and malty, separating slightly, but it was exciting to finally get my hands on the stuff. 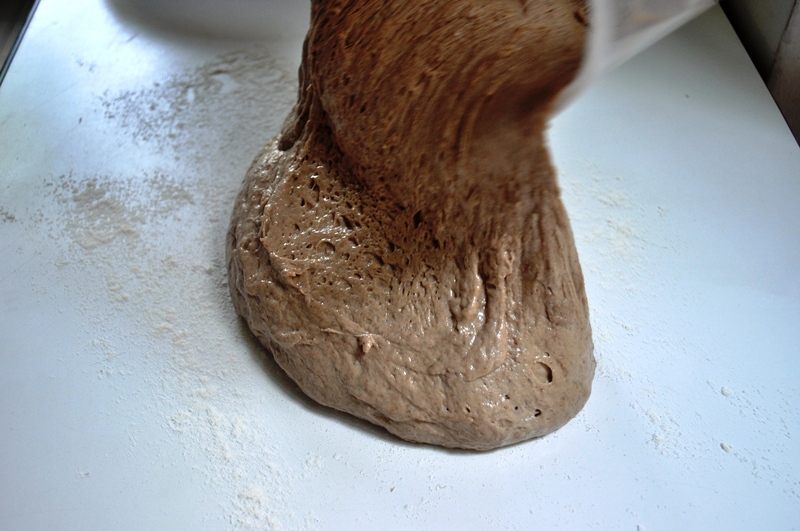 Adjust the water if necessary; you want a nice moist dough. I then put all this in a container and left it in the fridge for 24 hours. I then took it out of the fridge, and let it come back to RT (again, around 23C). 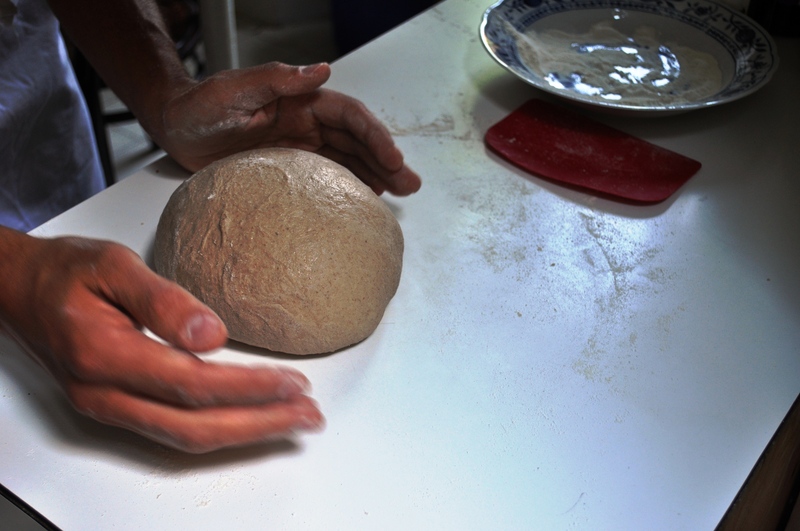 After a few hours, I formed a ball, and put it in a proving basket lined with a floured cloth. I let it prove again at RT for around 9 hours. I preheated the oven to 230C. When the dough was nice and swollen and soft, I baked it for 20 minutes, then turned down the oven to 210C and baked for another 20 minutes. The results are very pleasing. 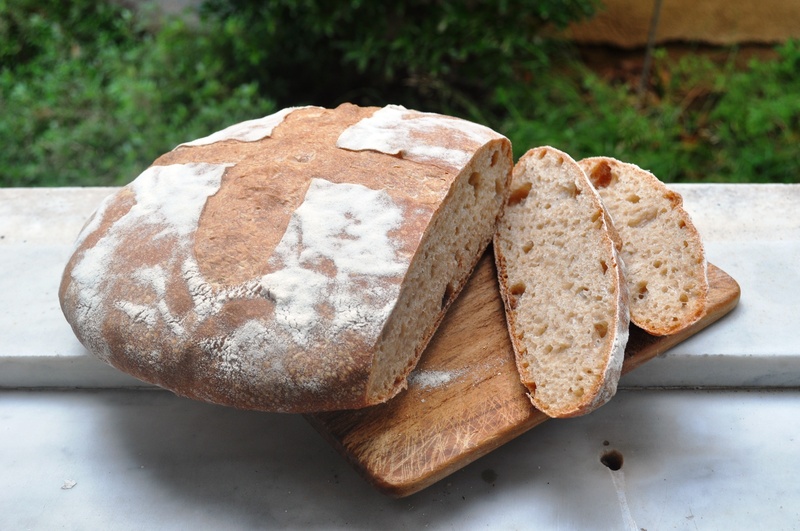 It’s got a chewy crust, a reasonably open crumb and a taste that’s subtly sour. Yay.